Facebook said hackers were able to access phone numbers, email addresses and search information as part of the company's most recent data breach. The attack started out with the theft of tokens belonging to 400,000 people, which were then used to steal access tokens from the Facebook friends of those 400,000 people and onward until 30 million were hit. Now we know roughly what information the attackers accessed, and the number of people they had access to - as well as a help service for those who were effected. 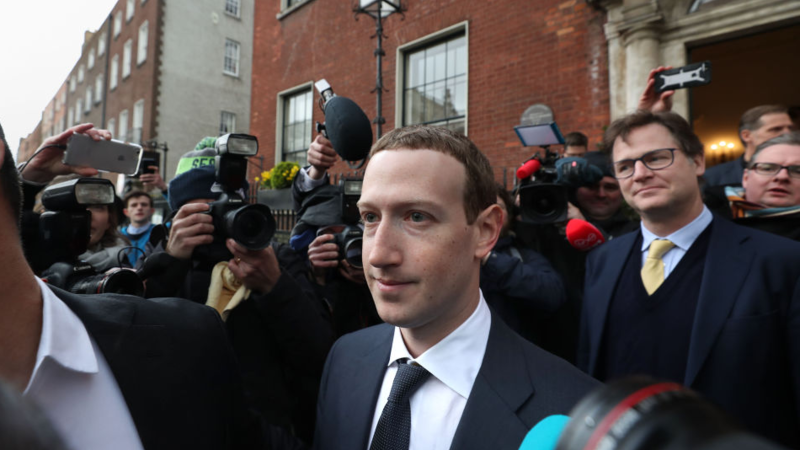 Facebook also stressed that the attack did not affect Messenger, Messenger Kids, Instagram, WhatsApp, Oculus, Workplace, Pages, payments, third-party apps, or advertising or developer accounts. A couple of weeks ago, Facebook disclosed an unprecedented data breach at the company. The Facebook hack eventually exposed the names and contact information for 15 million users. For 14 million of those accounts, hackers got even more data, such as hometown, birthdate, the last 10 places they checked into or 15 most recent searches. Facebook's vice president of product management Guy Rosen used a blog post today to share further details on the data the hackers stole from those affected accounts. The bugs that allowed the attack to occur gave hackers the ability to effectively take over Facebook accounts on a widespread basis, Facebook said when it disclosed the breach. On Sept. 28, it went public with news of the incident, logging out about 90 million users as a precaution. According to TechCrunch, the company is cooperating with the Federal Bureau of Investigation, but are not allowed to speculate about who may be behind the attack. Access tokens work sort of like a digital set of keys and are what allow you to stay logged in with the Facebook app rather than entering your password every time you want to access the site. Attackers chained 3 vulnerabilities together to exploit a bug in this feature and steal a user's, and their friends, access tokens. Earlier this year, Facebook came under fire for sharing heaps of data for over 87 million users with Cambridge Analytica. What may have motivated the attackers is still unclear; despite mounting concerns about election security as USA officials count down to a highly contested midterm election, Facebook said there was no indication the hack was specifically related to the US electoral process. To find out if your account has been affected, Facebook has provided this link. Company officials declined to say what countries the hackers had targeted, but described the security breach as a "broad" attack. Facebook has said it will not provide identity fraud protection for the victims of its latest data breach. The Pharaohs were already three goals ahead a minute before half-time when Salah stepped up to take a corner in the 44th minute. Salah has now broken his mini-goal drought and fans have been thrilled with the way he did it. State officials said 285 people in Mexico Beach had refused to leave ahead of the hurricane despite a mandatory evacuation order. Boston-based insurance company Karen Clark & Company is estimating Hurricane Michael caused about $8 billion in insured losses. He was the subject of the documentary Won't You Be My Neighbor? that premiered at this year's Sundance Film Festival this year. Local police revealed that the Pittsburgh native had opted to take a smoke break on a balcony in between filming scenes. Liverpool will be looking to getting back to winning ways, having gone without a victory in their last three games in all competitions. Air Force has chosen three aerospace companies in which to invest $2 billion, including one that builds rockets in Chandler. John Thompson, the Air Force's Program Executive Officer for Space and SMC commander. I'm really pleased to be able to welcome you here to Number 10 on World Mental Health Day . Youth are also affected: one in five aged 13-18 experience a severe mental disorder. Talk of a draft deal having been agreed in Brussels on the Irish backstop was rubbished by Whitehall insiders, who urged caution. It is understood that cabinet ministers Mr Fox, Mr Gove, Mr Raab and Mr Hunt expressed concerns about the possibility.